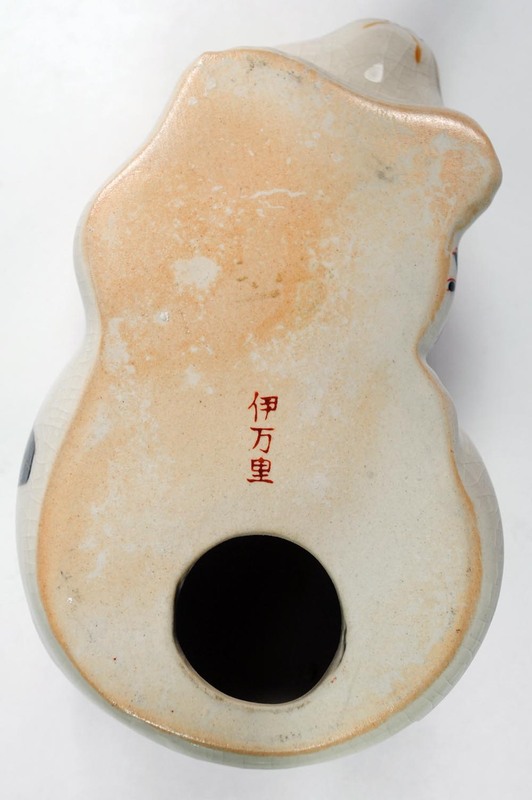 could you please help me to identify this porcelain tea caddy? What does the mark mean? The mark is Japanese for "Imari" (伊萬里), although you'll also see "伊万里", using the more common Japanese variant for "萬". 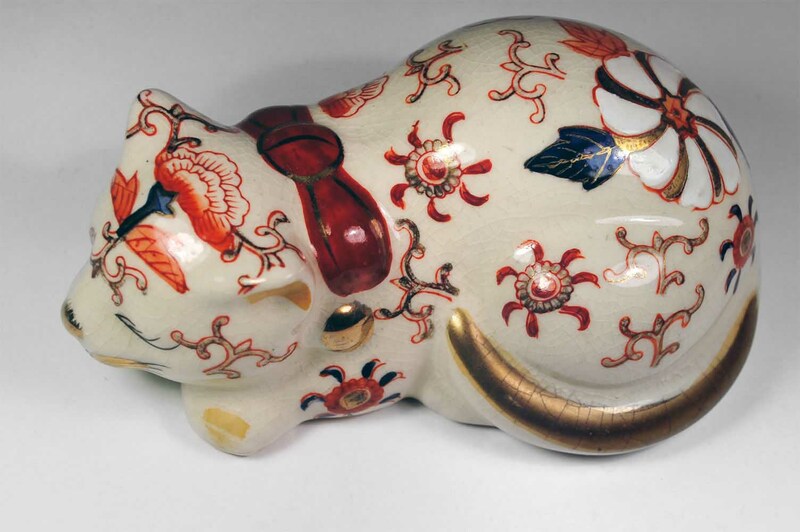 The latter appears on what I think may be made in China transfer-decorated attempts at copying the famous Kutani cat (photos below) and other figurines. The truth is out there somewhere. Thank you Bill. I appreciate your help.